Family access, also called "proxy access," lets you manage other people's myccLink accounts for them. Parents can access medical records on myccLink, including growth charts and vaccinations, for their children under 12. Qualified adults can access myccLink for other consenting adults who need help managing their online accounts. Please note, you must have your own myccLink account in order to obtain proxy access. Parents with children age 11 or under can submit a request online. From your own myccLink account, scroll over the "My Family’s Records" tab and select the "Family Access Settings" option. Then click "Request access to a minor’s record" and fill out the form. We will review your request within a few days. First, you will need to fill out a paper proxy access request form. If you're managing a myccLink account for another adult, he or she will also need to sign the form. 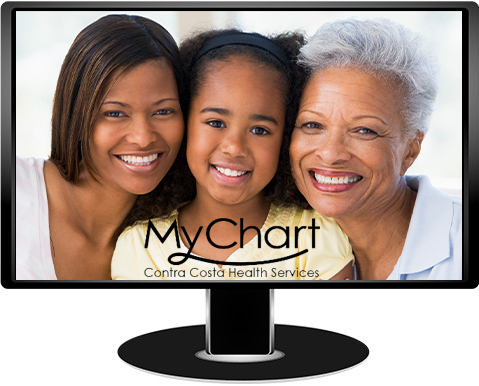 The completed form must be delivered in person to a Health Information Management (HIM) representative at Contra Costa Regional Medical Center or your health center by the patient or the person requesting proxy access, who must show a photo ID. HIM staff will process the paperwork and link the proxy user's myccLink account to the other person's account. For more information, call our toll-free customer support line at 1-844-622-5465 or email us at mycclink.support@cchealth.org.